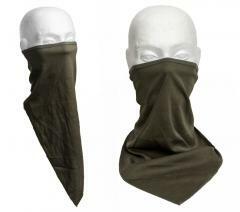 A traditional face scarf, not unlike the classic highwayman model. 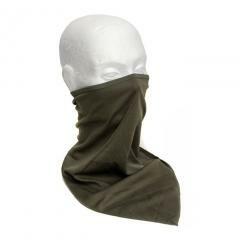 Protects your lower face from dust, snow, looks and insects. These are tubular in construction so they fit in the role better than many others. 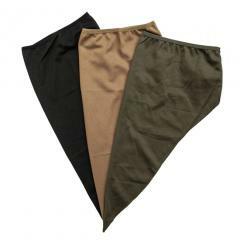 Made of nice CoolMax polyester, which means these are technical higwayman scarves. Just like a toque, but for one purpose only: to protect your face and even neck. Works great in airsoft too - no need for camouflage face paint, although paints are always cooler looking but damn that washing after. Made of same kind of fabric as technical t-shirts; mesh style polyester, moisture wicking and fast drying stuff just thick enough not to see through. Breathes well and is at least better than nothing when it comes to protection from insects. Elastic for proper fit. Packs small enough to fit inside your fist, so it's easy to carry around. We think we would wash these in about 40 degrees Celsius.